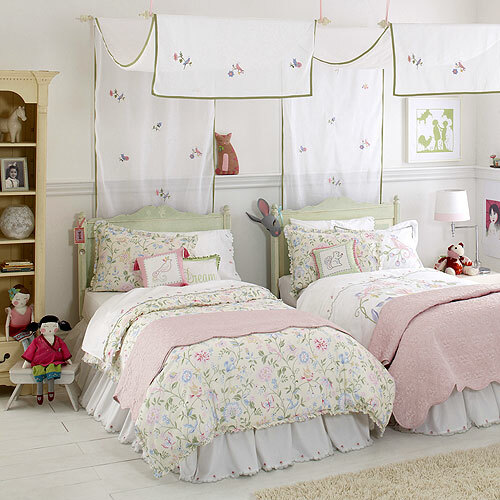 More pink and green, this time childrens bedding. I just noticed that most of these sets are filled with ruffled pillows. 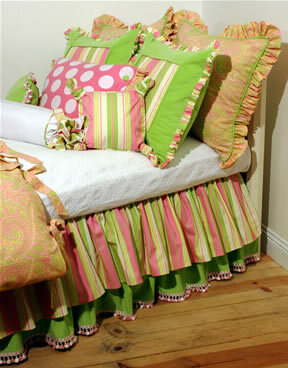 If you like pink and green but hate ruffles, don't forget that you can always have a pillow made with a pipe or a flange to give it a more modern and tailored look. 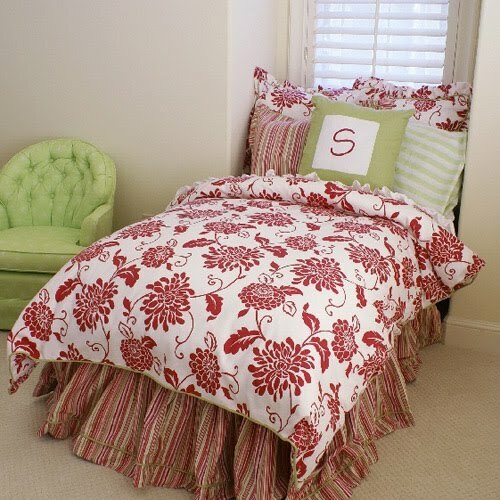 I'm showing you these photos for more ideas on pattern, texture, and color combinations which work successfully. 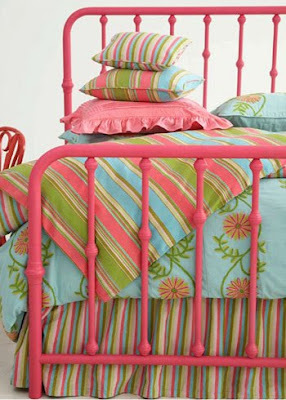 Especially for girls' bedding, I think the more pillows and the more different fabrics that you can bring in the better. And don't forget to keep it interesting and fun. 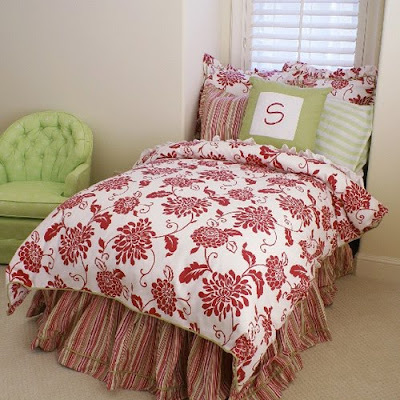 It is much cheaper to change bedding colors and styles as the child grows older than furniture. Enjoy! Don't worry, only one more pink and green post to go! I see all you feedback on Childrens Bedding and it appears like some of you are looking for more designs…so keep posting your comments with suggested topics.